If you want to know how James Bond – sorry, I mean Daniel Craig – starts the day, I can tell you. Two double espressos with honey. Plus poached eggs on toast. With another double espresso to follow. So basically: caffeine, more caffeine and some more caffeine, with honey to soften the blow. 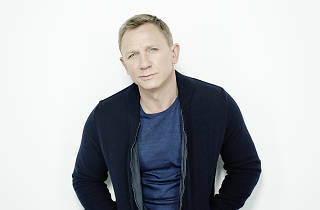 Craig needs all the help he can get when we meet in July: just four days ago the 47-year-old finished an epic eight-month shoot for ‘Spectre’, which saw him hopping back and forth between Pinewood Studios near London and Mexico City, Morocco, the Austrian Alps and Rome. So you’ve just finished eight months of filming ‘Spectre’. Did it all end with a bang or a whimper? What do you most want to do when you finish such a long shoot? Did you always plan to play Bond for a fourth time? It's been ten years now. You described ‘Skyfall’ as ‘Bond with bells on’. So how would you describe this new Bond movie, ‘Spectre’? Same bells, different tune? There was more humour in ‘Skyfall’ than in ‘Casino Royale’ or ‘Quantum of Solace’. Will that continue with ‘Spectre’? Were you involved in bringing Sam Mendes back to direct? Were you disappointed when it looked like he wouldn’t do it? There were stories during this shoot that you were helping to write the script. Were they true? Playing James Bond is a lot about how you look – the clothes, the walk, the fitness. Do you ever get fed up with all that? 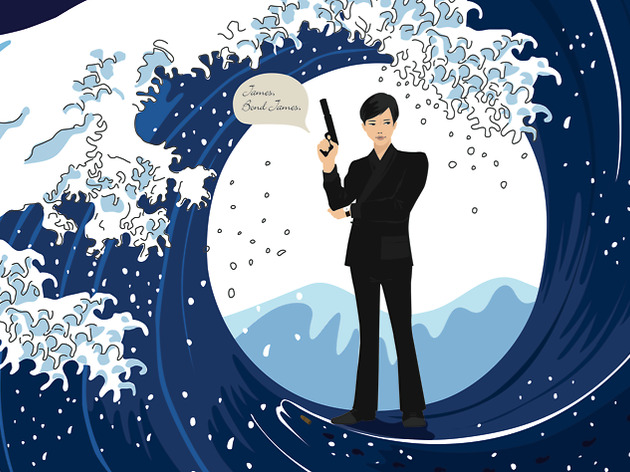 The most famous image of you as Bond is you in your blue trunks coming out of the sea in ‘Casino Royale’. How do you feel when you look at that now ten years on? Can we expect any similar moments in ‘Spectre’? Do you ever look back and think: How the hell did I end up playing James Bond? What does playing Bond not allow you to do as an actor? No, my question is what does Bond not allow you to do generally as an actor, beyond Bond? There’s always so much expectation and talk around a new Bond film. Have you got used to the passionate fans and how much they care? Bond has a ‘special’ relationship with women. Is he a dinosaur? Can you imagine doing another Bond movie? You want to move on from Bond for good? Do you care who plays Bond after you? You won’t be backseat-driving then? If an actor was offered Bond and came to you looking for advice, what would you say to him – or her? And if someone rang you and said: 'I’ve taken the 007 gig'. What advice would you have for them? 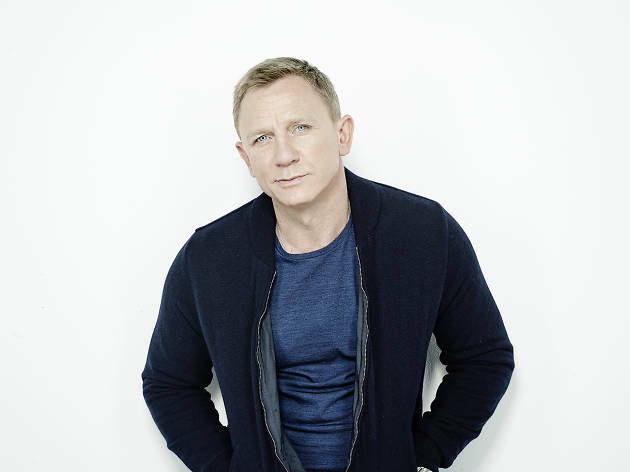 ‘Spectre’ opens in Japan on December 4. 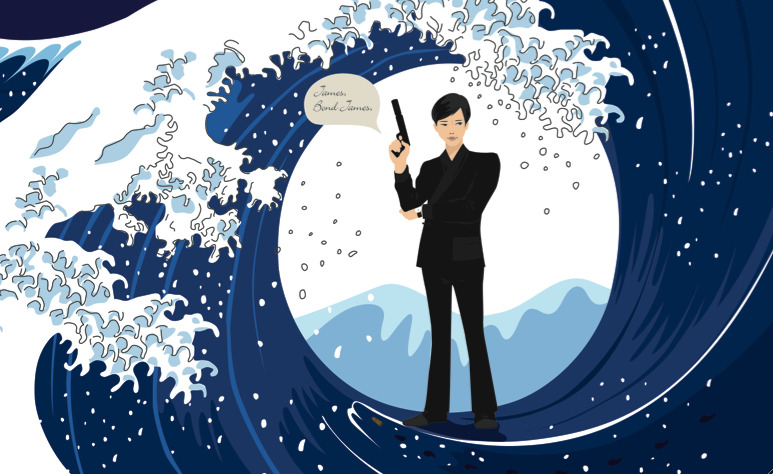 What if James Bond was Japanese?